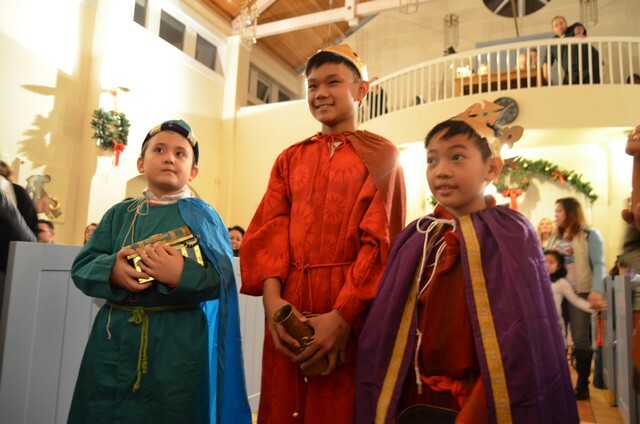 On December 16th, we had a Christmas Party and Christmas Play with the children from Oratory and catechism classes. We began the Christmas party at 4 o´clock in the afternoon. All the children received their first gift and their „registration card“. 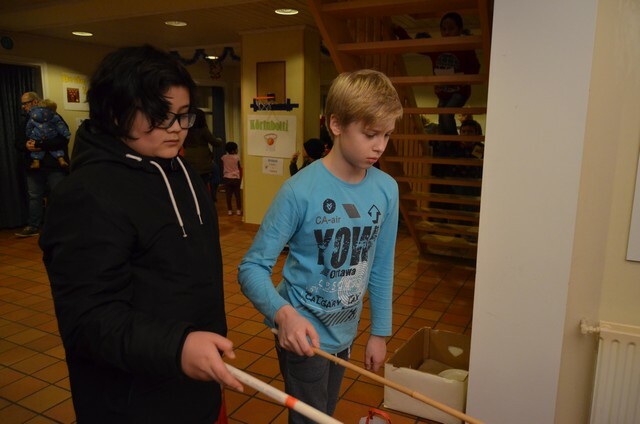 The children were able to play many games and recieve prizes we had prepared for them. We were able to share a delicious meal of hot dogs and hamburgers with the children. They were very happy. This year there were 70 children who participated in this event. 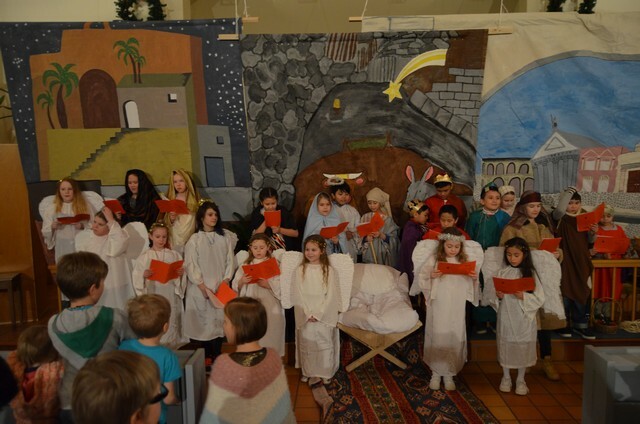 After that, we began the Christmas play. 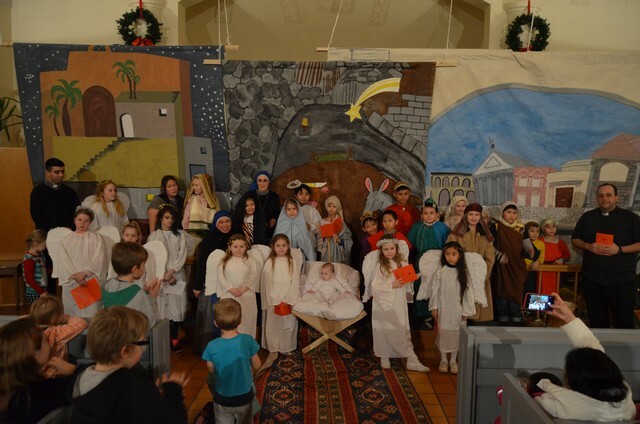 This Christmas we held the play inside the Church. 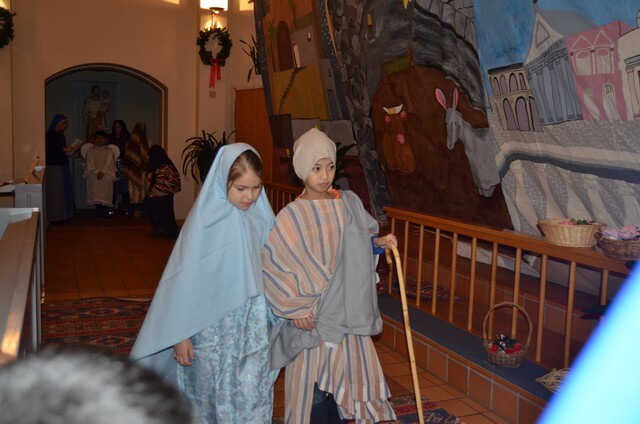 This was a very good opportunity for the families to see their children participating in the Church´s activities. 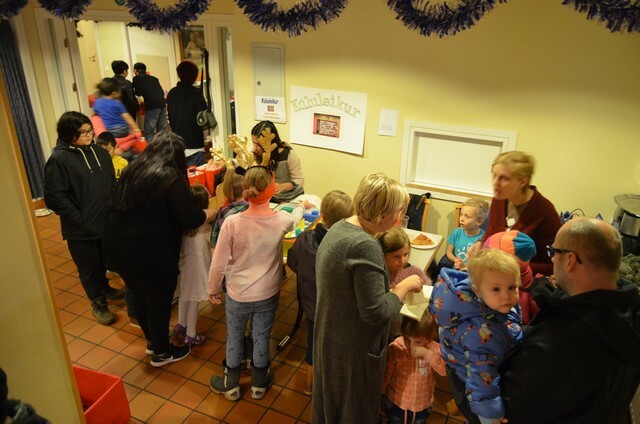 The families were very happy and thankful for all the effort that we put in and the work that we have been able to do for and with their children. 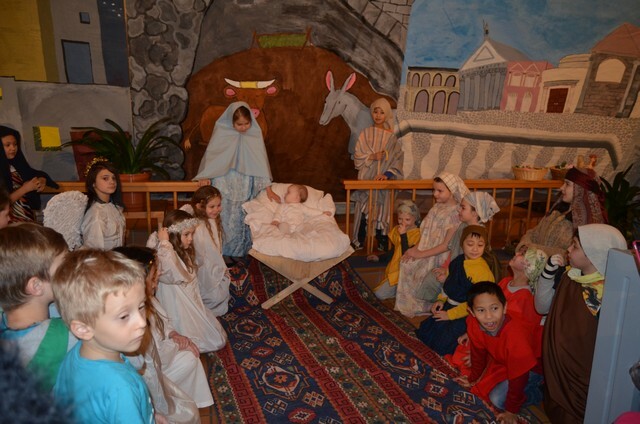 After the Christmas party, the children sang Christmas carols in English and Icelandic. Then our parish priest thanked all the children and families, especially everyone who helped out. He ended with a prayer and gave us the blessing. Christmas, Iceland, IVE, Oratory, SSVM.